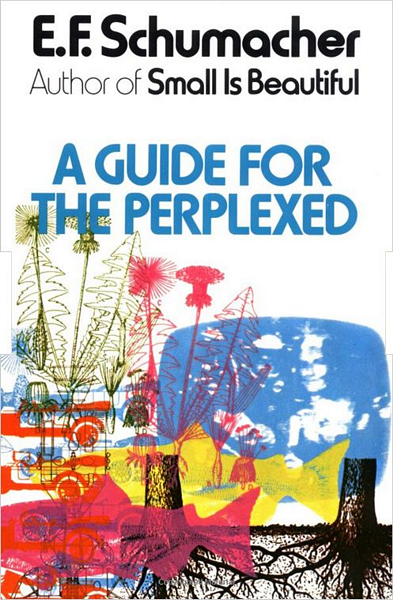 A Guide For the Perplexed offers a modern look at some of the world’s oldest thoughts. E. F. Schumacher takes us through a fresh perspective on some of our oldest questions such as – “How and why are we here? What is evolution? What path should I follow?” Using is own methodology and terminology, Schumacher takes the reader on a thought-provoking exploration of what he calls “maps of knowledge.” He carries this metaphor of cartography throughout his book; encouraging the reader to find a logical place for every idea, emotion, or happenstance that they come into contact with. He extends this metaphor to virtually ever facet of human existence, from cosmology to ethics. Rather than be a book of details, facts, or tangible knowledge, A Guide for the Perplexed offers a certain training in how to think rather than what to think.